When it comes to French cuisine, one should not forget is the white sauce, also called one of the “mother sauces” of French cuisine. 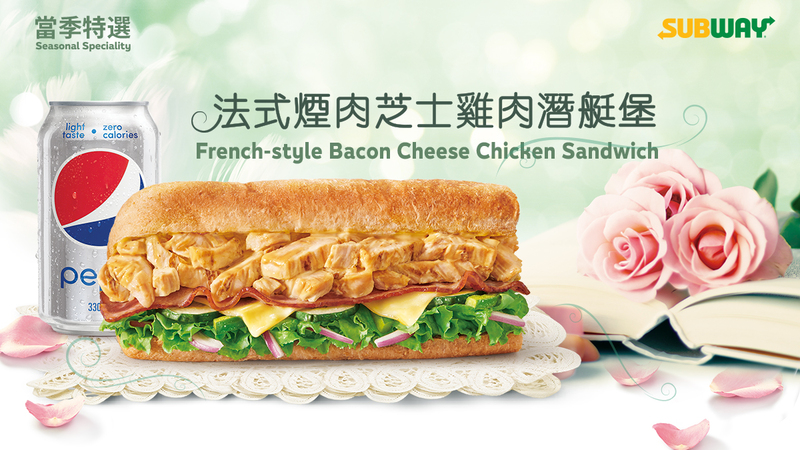 Subway was inspired and create a new French style sauce based on white sauce , adding black pepper and bacon slice, the overall flavor is creamy. Quality chicken strips and bacon cheese sauce, mix them well, and adding 2 slices of roasted bacon and hot melted cheese, tender and juicy chicken accompanied by a mix of rich creamy flavor and smoky flavor. Sense of satisfaction pamper your taste.